JOEY Hayward is due a reward, and has finally received it. He is Diehard. After a number of hard years playing for the Valleys, including one instance of playing two games, reserves and A Grade, with only 13 men, the man is now playing in a grand final. "I think it was four years ago when we couldn't make a side and joined Wallabys," Hayward said. "The next season we played three grades with about 20 players." Having seen out the tough times as a player and the under-20s coach, Hayward is back to enjoying footy. He is putting his best foot forward, as he has always done for the Valleys club. He is not only glad for himself. 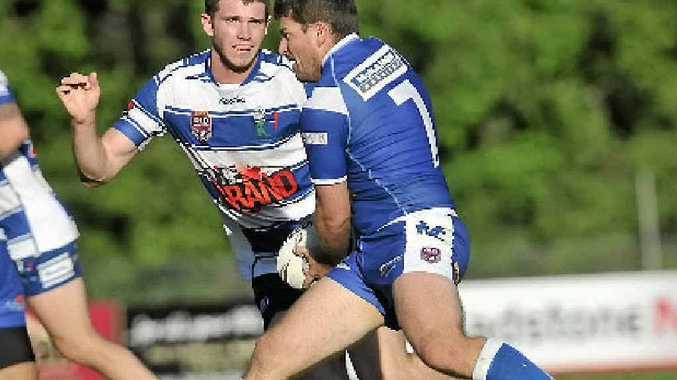 Hayward is even enjoying the fact that former partners in the short-lived club merger with Wallabys are going to be his opponents this weekend in the reserve grade grand final. "It is a testament to us to get back to where we are, and the Wallabys as well," he said. "Thanks to Wal Wilson, Les Nicholson, Swampy Marsh, Andrew Hamilton, Craig Buckley and the committee. They turned us around from running last to making the grand finals, and all three we are in."